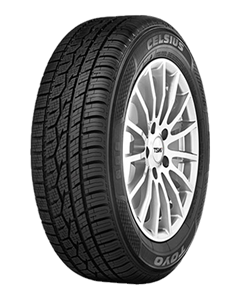 New Toyo Celsius is the smartest tire choice for year round comfort and safety. Improves deep snow traction. Increases block rigidity for better ice and wet traction. Evacuates slush for increased traction on slush and snow. Sorry, we currently do not have any tyres with the Celsius pattern in stock.